The ultimate advantage of the Survival Kit is that you are prepared for all eventualities without having to think of what to pack. You could go out with your girls at night and happen to pop into the guy of your dreams. There’s a part of you that would like to go with him at the end of the night, however, if you have nothing on you to look decent again the next morning, you might back off. Now with our Survival Kit in your handbag or the back of your car, you are prepared for all possibilities should they arise. This might also be the case if you are a hard working woman and your meeting lasts all night. We’ve teamed up with some well established global players like Splat, Sans Soucis or Kimberly-Clark, as well as some German startups who focus on fair-trade production and ingredients. 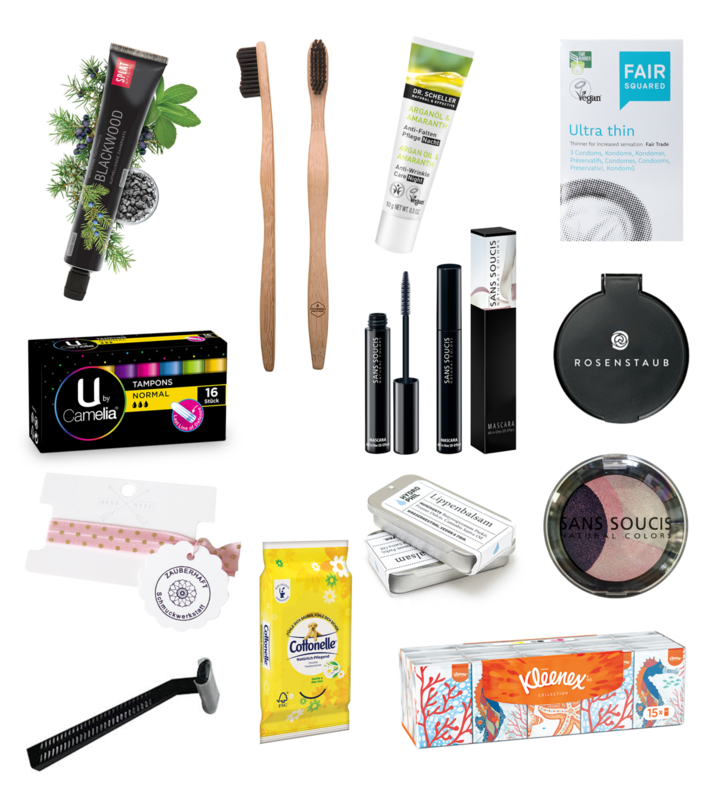 Together with those partners we were able to fill our neoprene pouch with top notch beauty products.